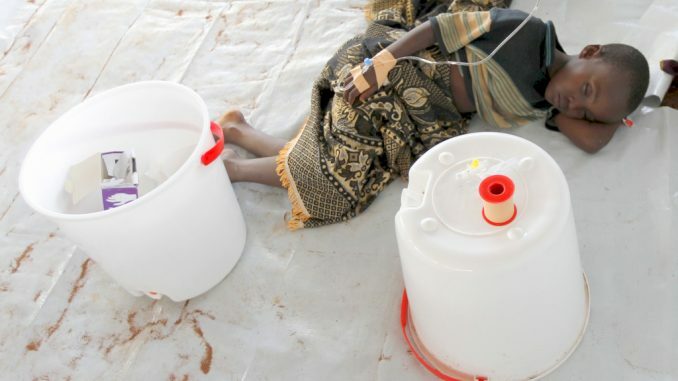 The number of people that have been infected with cholera in Hoima district has risen to 812 with the cumulative death toll now standing at 29. Dr Fred Kugonza, the Hoima district disease surveillance officer, told this publication on Tuesday that last week 200 more cases were reported at Sebagoro Reception Centre in Kabwoya sub-county and Kasonga in Kyangwali sub-county. He says the new cases have been taken to isolation centres at Sebagoro and Kasonga respectively. Dr Kugonza fears that the number could escalate since most of the refugees are still scattered within the host communities. He says the disease has further spread in the landing sites of Kyehoro, Kaiso and Nyawaiga that are in the sub-counties of Buseruka, Kyangwali and Kabwoya. Dr Kugonza said that if the refugees’ movement is not regulated, the cases my rise further with more deaths recorded. He says currently, the district has deployed heath officials at the reception centre in Sebagoro to identify new arrivals with cholera symptoms and immediately take them to the isolation centres for treatment. State minister for Health Sarah Opendi says that since the outbreak was reported earlier this month, a total of 535 suspected cases have been recorded at both Kyangwali and Kyaka II refugee settlements. So far, 360 people have been discharged from the treatment centers that were set up in the two settlement areas. 50 and 30 bed treatment centers have been set up in Kasongo and Sebagoro landing sites. Opendi says the refugees contracted the infection from their places of origin and along the way to Uganda. Opendi says that they are working together with the United Nations High Office for Refugees and the Office of the Prime Minister to carry out cholera sensitization campaigns in the area to control the spread of the disease. “The cholera outbreak has been in the refugee settlements in Kyangwali and Kyaka and of course most of these refugees got a problem along the way while trekking to Uganda. So far we have lost 26 of them and a number of them have been treated and fortunately a good number of them have been discharged,” said Opendi. Opendi says that at the moment they are currently looking for resources to procure cholera treatment drug. According to the World Health Organization (WHO) it is the best line defense against cholera infection and is recommended for adults between 18 and 64 years of age. 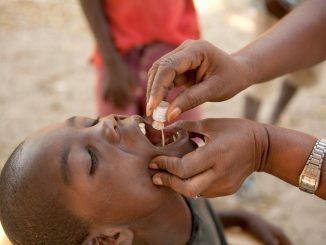 The cholera vaccine costs around $240 (about Shs 900,000) on the open market. Opendi advises the public to maintain proper hygiene in their homes to avoid contracting or spreading the disease from one person to another during the rainy season. 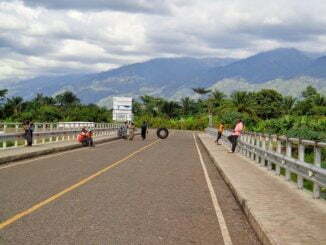 The fresh cholera outbreak was reported at Sebagoro landing site on the Lake Albert shores in Hoima district on February 11 among the Congolese refugees fleeing tribal clashes in the Eastern part of the Democratic republic of Congo between the Lendu and Hema communities.